Now it should all be a little clearer, it’s a question of Innovation Management, physics has nothing to do with it, not even ice. Open Data is increasingly talked about as a central element for guiding innovation and transparency in Public Administration. It’s very true: Open Data is a formidable tool for allowing citizens to access public information in a new way and through apps and software platforms created by third parties. They are an exceptional tool, certainly necessary for achieving such a goal but, unfortunately, not sufficient. What can we expect in terms of technology in the next few years, giving ourselves 2030 as the horizon? The Future of Jobs report from the World Economic Forum contains an interesting and slightly disturbing figure: 65% of children currently in primary schools will enter completely new jobs, jobs that do not yet exist. On second thought this is not so strange; in fact, if we try to look back ten years, many jobs that we consider normal today did not exist at all. In the sphere of technology alone, we can cite the app developer, the social media manager, the seller of advertising on social networks, and the certified pilot of drones and multi-rotors, to name just a few. In all likelihood, we ourselves have had to change our professionalism and increase our skills to cope with the technological and social changes that have occurred in recent years. Moreover, those who work in the field of technology and innovation must be as prepared as possible not only to take care of their professionalism but also to help their customers face their positioning in a rapidly transforming market in the best possible way, from both the technological point of view and from that of the new business models that will appear. So let us see what we can expect in terms of technology in the next few years, giving ourselves 2030 as the horizon. Carlo and Paola have been living together for several years; they seem a perfect couple. No one knows that their union is soon destined to end, not even them. Yet within their “family organization” all the elements indicating unequivocally that they are heading in that direction, can already be seen. It is, for example, the use of a credit card in a restaurant for an amount that is not compatible with someone dining alone. Sometimes people believe that Innovation is a spark, a flame that suddenly illuminates the dark mind of some manager or some engineer, locked in their office, staring at the white ceiling and listening to Bach. Those are people that say “With such an idea you cannot help to change the world and become rich, for sure!”, Those are the same people who say “With that amazing camera you cannot take bad pictures, it is full automatic!” and than “ With that kind of guitar you cannot play poorly, it sounds wonderfully!”. The Visionary people, who believes that the first process that need to be innovated is Innovation, even before production ones, because innovating innovation processes can provide advantages to the product delivery and to service providing to the customer. Virtual Enterprises are temporary alliances of business organizations that come together sharing skills, knowledge, information and resources in order to better respond to business opportunities, and whose cooperation is supported by IT platforms. 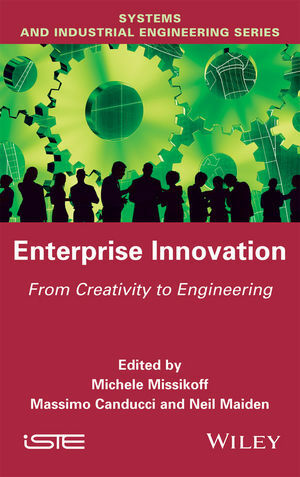 This chapter in an introduction to Business Innovation in Virtual Enterprise Environments.